This map has 10 parkour levels with a range of difficulty. It’s a single player map only, or else the map will break. All levels have been tested and are possible in single player. 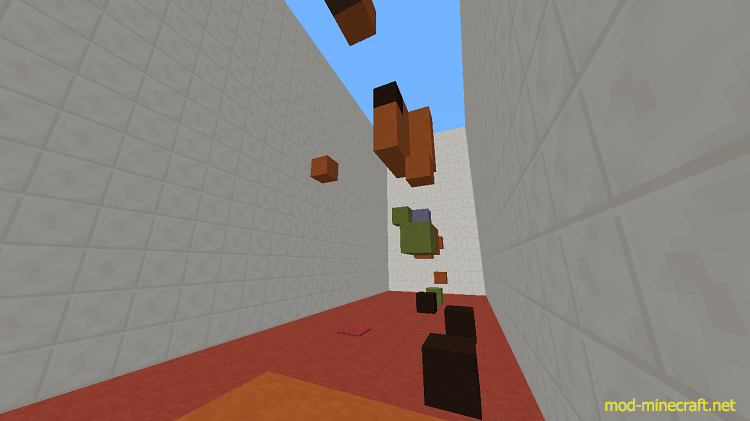 This map has clay blocks that when you stand on them they give you effects. Map playtime is about 10 minutes. About 15 if you’re not very great at parkour, and about 7 if you’re really good.